This was my first visit to Lime Rock Park. Actually, it was my first time at any car track. I came to follow through some stories I had been filming for Pine Pains Views and because it is a major attraction in the area. Okay, I was also motivated by curiosity but that is why I do what I do anyway. Once there I became fascinated by the park itself, the vintage cars and the people involved. A special breed. They staked out their own camp at the park. They may be amateurs but there were no dilettantes in this group. No Factory Team MG! These are people who race the cars they rebuild and restore themselves. And, like George Pardee of Clearwater (yes, Florida! ), would sometimes drive the car to New York or Vermont, race it, and then drive it home. Fun on all three legs! Epilogue: When he got back home, George was able to discover that the problem turned out to be the plugs. 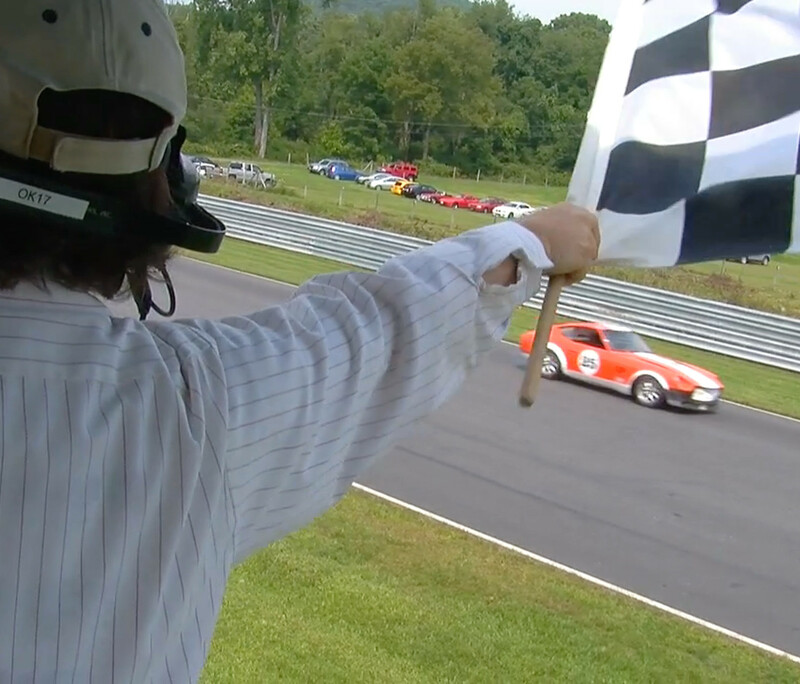 I really enjoyed the Lime Rock Park vintage racing clips as well as the stone cutting. I live 3 minutes away from the ranch in Stanfordville and am sorry to see it go, but with out use, the grounds were deteriorating very quickly. Thanks for the GREAT video work and commentary, I always enjoy time spent at Pine Plains Views.